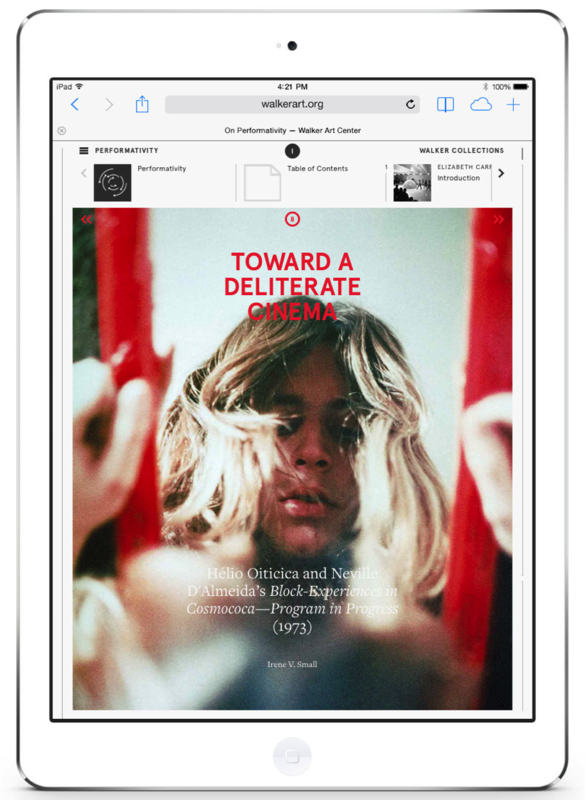 Irene V. Small’s essay “Toward a Deliterate Cinema” in Volume I of The Living Collections Catalogue, as viewed on a tablet. 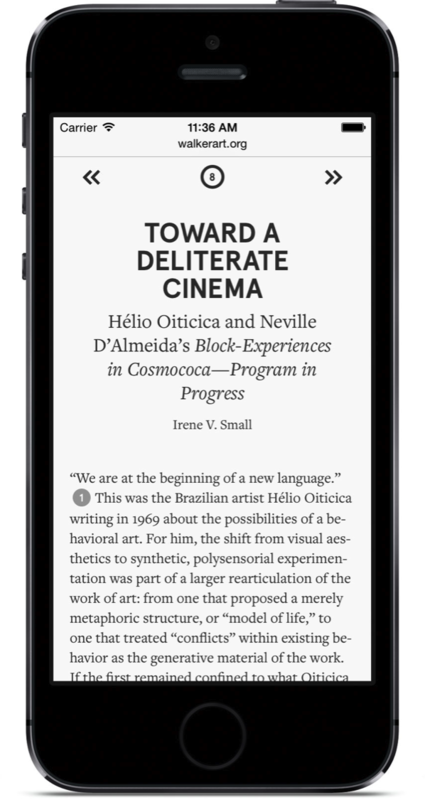 Irene V. Small’s essay “Toward a Deliterate Cinema” in Volume I of The Living Collections Catalogue, as viewed on a phone. 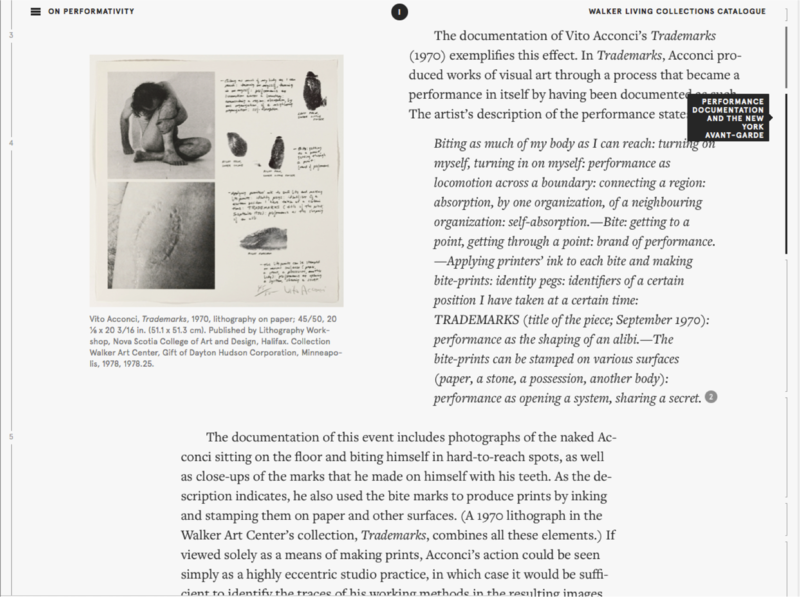 The Living Collections Catalogue is an online publishing project dedicated to scholarly research on the Walker’s renowned multidisciplinary collections. 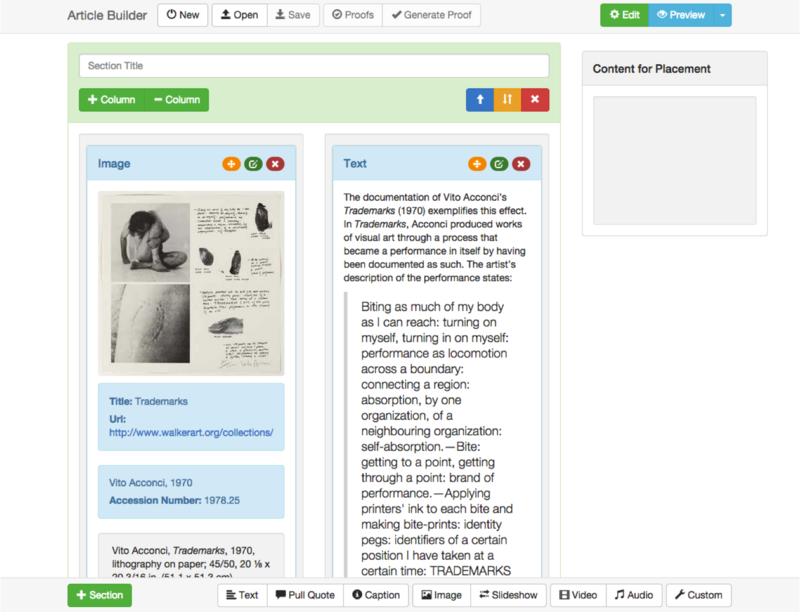 The Catalogue is an on-going serial publication that provides scholars and enthusiasts access to unique documents, original interpretation, and rich media resources about select artworks from the Collections. Each volume in the series will explore a unique aspect of the Walker’s collections, reflecting the multidisciplinary interests and editorial perspectives of the institution’s curators. Each volume of the Living Collections Catalogue includes media-rich essays on broader themes as well as in-depth investigations of specific works of art. Featured works link to records in the Walker’s collections database, where additional information about the artists and artworks is available. 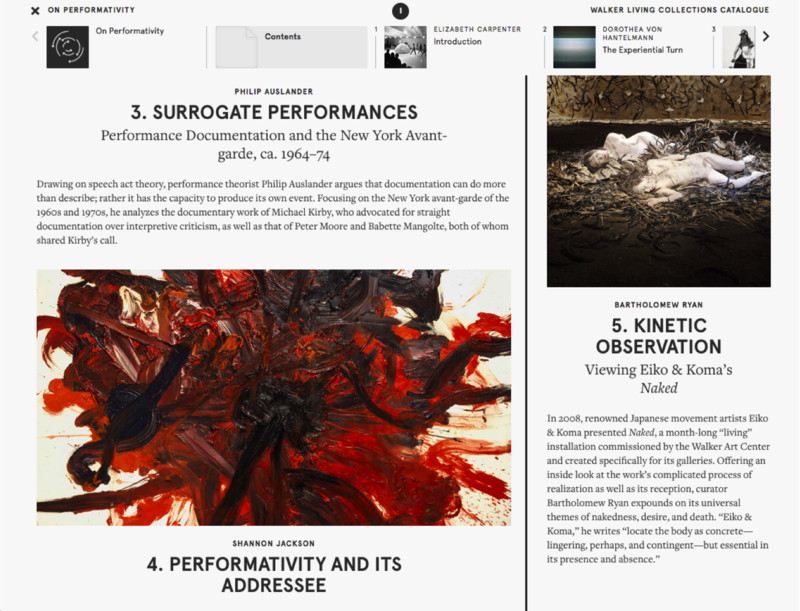 Implicit in the concept of a “living catalogue” is the dynamic nature of an online volume about the Walker’s collections. Information in the database is updated as new research and presentations occur, while essays are versioned and citable with assurances of a permanent address to the information referenced.